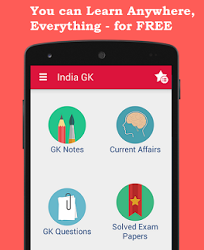 3, 4 October 2017 Current Affairs MCQs, Quiz, Questions: Current Affairs for October 2017, Daily Multiple Choice Questions (MCQs) for India GK, World GK and current affairs with Collection of daily objective type Question by www.Indiagk.net based on General Knowledge (GK) and General Science (GS) Questions for UPSC, State PSC, SSC, Police exam, Railway exam, SBI, Bank PO, IBPC, SSC, LDC, UDC, Army, Airforce, Navy, Coast Guard, Bank Clerk, TET and all entrance examination with current affairs News, Multiple Choice Questions (MCQs) available on Website www.IndiaGK.net and Android Apps with daily updates:. Physics Nobel Prize 2017 has been awarded for --- ? Prime Minister on 3rd October lays foundation stone of AIIMS, IIIT in which state? Vice-President on 3rd October lays foundation stone for national waterway on which River? Who will head 5 Member Commission to examine Sub-Categorisation of OBCs? Which city will host Global Entrepreneurship Summit 2017? Who is appointed WHO deputy DG ? Turtle sanctuary in approved in which City recently?